HomePosts Tagged "free typing tutor"
Here are 3 open source typing tutor software for Windows. There will be different lessons to help you practice typing and improve typing speed. Typing Bolt is a free AI powered online typing tutor that adapts typing lessons based on your typing and dynamically changes difficulty levels. 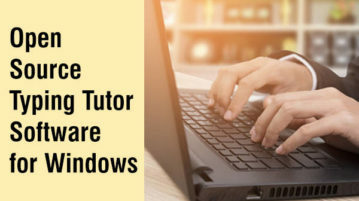 Klavaro Touch Typing Tutor is a free typing tutor for Windows that provides step by step guidance to teach you basic typing on keyboard. Check it out here! 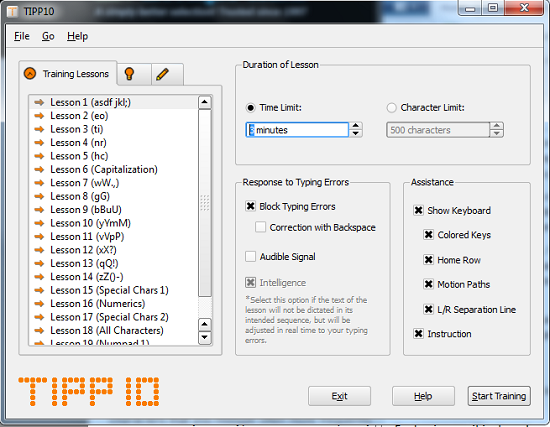 TIPP10 is a free typing tutor. The program offers a host of interactive typing lessons aimed at helping users learn and practice typing. KeyBlaze Typing Tutor is a free typing practice software that lets you practice typing, and increase typing speed. Download KeyBlaze Typing Tutor free. Here are 5 Best Free Software to Improve your typing speed. You can easily improve your typing speed with these free software. MaxTypeLite is a free typing tutor software that provides interesting ways to improve your typing skills, and typing speed. Download Free Here. 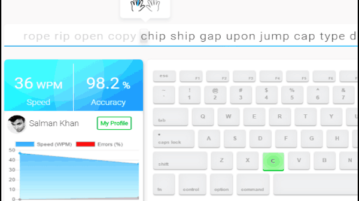 Amphetype is a free typing tutor to learn typing and improve your typing speed. It is completely free, and very easy to use. Download Free Here. Stamina Typing Tutor is a free software to learn touch typing, and increase your typing speed. It is completely free, and easy to use. Download Free Here.